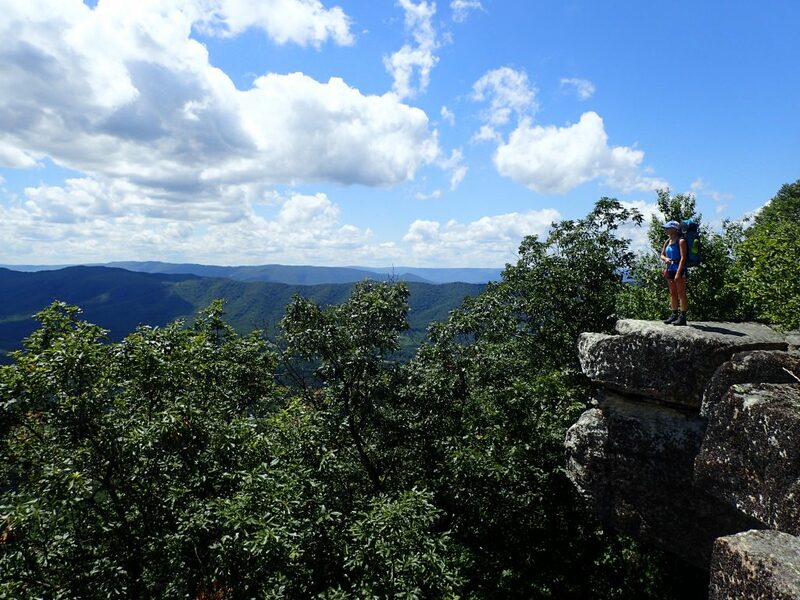 From lush, dense forests to stunning overlooks and winding ridges, Southwestern Virginia offers plenty to keep any hiker busy. And, the three iconic destinations included in the Virginia Triple Crown give hikers an unparalleled set of challenges and rewards. The Virginia Triple Crown combines three spots along the Appalachian Trail, all of which are located in close proximity to each other, and can be reached via day hikes or in one fell swoop through 30- to 40-mile backpacking routes. Whether you’re a day-hiker or backpacker, you’ll enjoy what the Triple Crown has to offer. Start your hike early. Parking lots fill quickly during the peak season. Be challenged and know your limits. Each day hike covers five to eight miles with a minimum elevation gain of 1,500 feet. Triple Crown backpacking routes may feature up to 16-mile days, depending on your route. Spend time doing careful, thorough route planning. Water sources and campsites may be few and far between. Practice Leave No Trace, observe group size restrictions, and camp only in designated areas to help protect the trail and landscape. 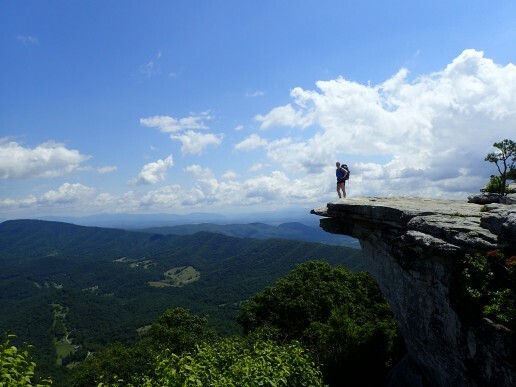 McAfee Knob is one of the area’s most photographed hiking destinations. It has also seen an exponential increase in visitation recently, making observing rules and Leave No Trace principles paramount. You’ll share the trail with others, but the overhanging cliffs and panoramic views will be worth it. Start at the McAfee Knob Parking Area, cross VA 311, and pick up the white-blazed Appalachian Trail, heading north. Pass an information kiosk, wind through dense forests, and pass the Johns Spring Shelter (0.8 miles) and the Catawba Mountain Shelter (1.5 miles). As you continue to gain elevation on the AT, you’ll see signs for an overlook, and as you hike through, you’ll arrive at McAfee Knob. To return, retrace your steps on the AT or take the McAfee Knob Trail back down to the parking lot. Tinker Cliffs offers beautiful creek crossings, panoramic valley views, and a trail section named after a 1980s incident called Scorched Earth Gap. It’s a tough, steep hike but absolutely worth the journey. From the parking lot, follow the yellow-blazed Andy Layne Trail. Cross two bridges over Catawba Creek, avoid stepping in cow patties, and move through a gate (1.2 miles), which indicates passage onto private land. The remaining part of the Andy Layne Trail is steep; you’ll gain 900-plus feet of elevation before arriving at the white-blazed AT and Scorched Earth Gap. Turn right onto the AT, and then, you’ll come to the first good viewpoint (0.5 miles). Over the next quarter mile, take in the views along Tinker Cliffs. To go back, retrace your steps to the parking lot. Dragon’s Tooth is a giant, scraggly rock formation sticking out of Cove Mountain and the sand-covered land above the Catawba Valley. It’s the shortest of the three Triple Crown day hikes but by far the steepest, and it requires some hand-over-hand climbing and good balance. From the parking lot, pick up the blue-blazed Dragon’s Tooth Trail, cross two small bridges, pass the yellow-blazed Boy Scout Connector Trail, and continue up. Here, climb steadily through dense tree cover, until you reach the intersection with the AT (1.4 miles). Then, turn right onto the AT. The next 0.7 miles cover extremely rocky terrain, including rock steps, two sets of iron rungs, and narrow sections just wide enough for two feet. As this portion eases, continue 0.3 miles to Dragon’s Tooth. To return, you have two options: Retrace your steps, or follow the AT north, turn left onto the Boy Scout Connector Trail, and catch the last bit of the Dragon’s Tooth Trail back to the parking lot. Day 1: 10.6 miles. Starting at the McAfee Knob parking lot, follow the AT north. Then, pass McAfee Knob, three AT shelters (Johns Spring, Catawba Mountain, and Campbell), and Scorched Earth Gap, and stay overnight at Lamberts Meadow Shelter. Day 2: 15.5 miles. Retrace your steps 0.7 miles south on the AT to Scorched Earth Gap, and take the Andy Layne Trail down the valley. Pass through the Andy Layne Trail parking lot, cross the road, and hike up to North Mountain Trail (yellow blazes) via the Catawba Valley Trail (blue blazes). 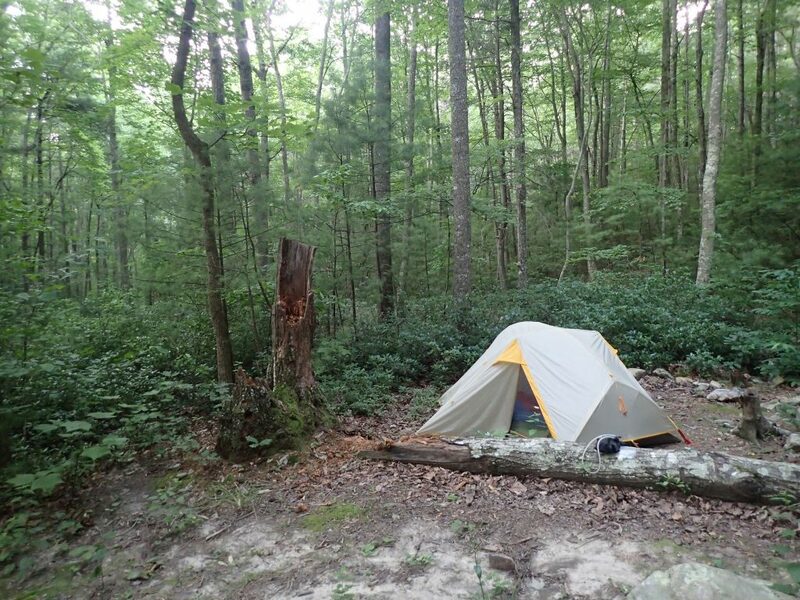 Come down North Mountain, cross VA 311, head through Dragon’s Tooth parking lot, and camp at the campsites off the Boy Scout Connector Trail. Day 3: 9.6 miles. Leave your packs at the Boy Scout camp, and then, tag Dragon’s Tooth via the Dragon’s Tooth Trail. 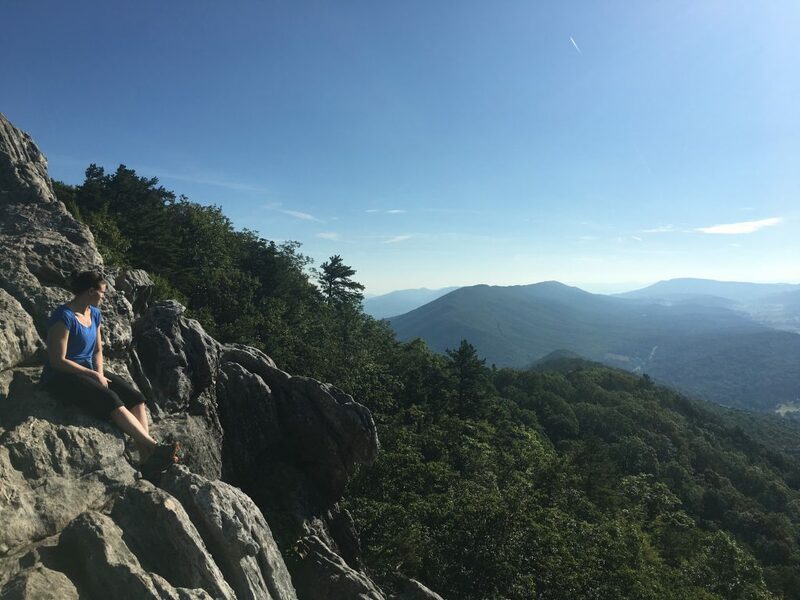 After you retrace your steps back to camp, pick up your backpacks, and take the Boy Scout Connector Trail to the AT. Follow the AT back to VA 311 and the McAfee Knob parking lot. Have you done any of the Triple Crown destinations as day hikes, or done all three via a backpacking trip? We’d love to hear from you!